Incredible claim: Have we already found life on Mars? Scientists are raising the possibility that 40 years ago, the Viking landers found evidence of life. Is it possible that mankind actually already found life on Mars 40 years ago with the Viking landers? That’s the intriguing possibility that some scientists are raising as the search for life on the Red Planet intensifies. Two Viking landers became the first U.S. spacecraft from Earth to actually touch Mars back in 1976, and they took some of the very first high-resolution images of the Red Planet, in addition to conducting some experiments to find signs of microbial life. 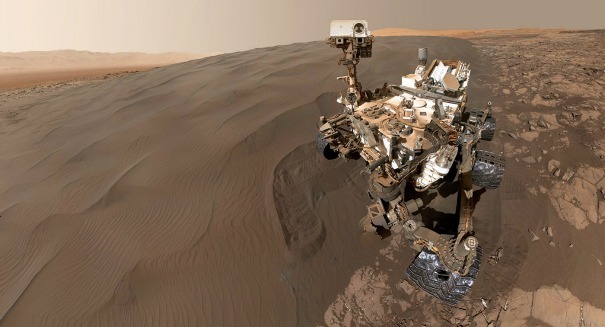 The experiments resulted in some contradictory results, including one experiment that showed that Martian soil tested positive for metabolism, while another experiment found no evidence of any organic material. But now, a couple of scientists have published a piece in the journal Astrobiology that claims that they’ve resolved the contradictions and the data seems to suggest that there was life on Mars at one time. “The 1976 Viking Labeled Release (LR) experiment was positive for extant microbial life on the surface of Mars. Experiments on both Viking landers, 4000 miles apart, yielded similar, repeatable, positive responses,” the paper’s abstract states. “While the authors eventually concluded that the experiment detected martian life, this was and remains a highly controversial conclusion. Many believe that the martian environment is inimical to life and the LR responses were nonbiological, attributed to an as-yet-unidentified oxidant (or oxidants) in the martian soil.